Cant find anything through searching here. 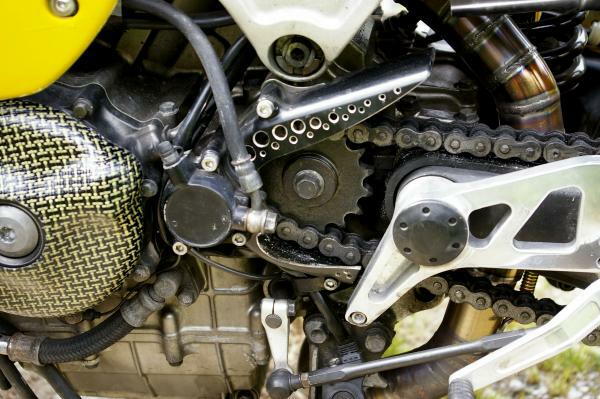 Anybody done the Nicky Mod of Cutting out the front sprocket cover? Easy to do? I have seen that. But no detail on how you cut it? I stripped the paint then used a sharpie to draw the pattern. Used a dremel cutoff wheel to rough shape. Then used sandpaper rolls to finish. 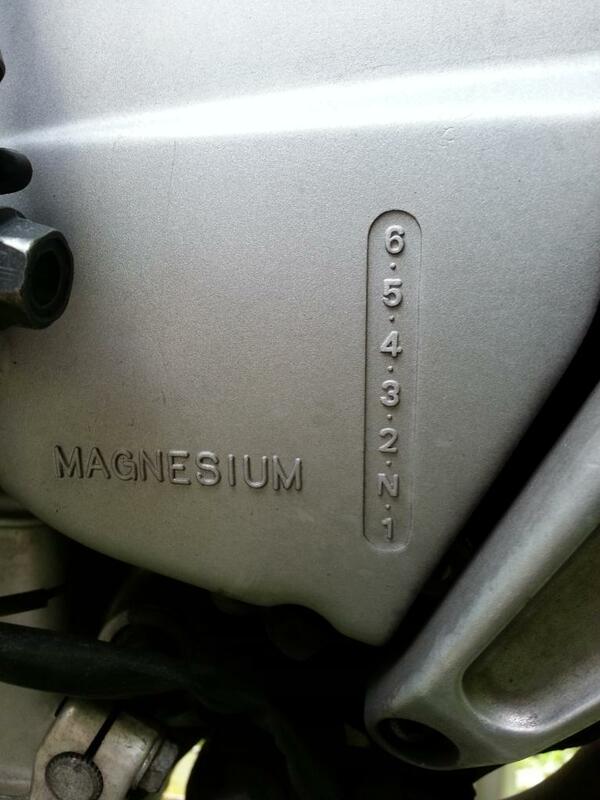 Being Magnesium and all, no random fires? Just cut in an open area. Its the shavings that could pose a problem. I dont think this piece poses trouble. I used an air cut off wheel, then a flap disc wheel to shape it. You can see pictures on my build thread. Pretty simple. I powdercoated mine in the end. You'll most likely need a new gasket. I've always wondered why people do it. I know it looks cool but it seems like your opening it up to a lot of dirt and crap entering the area. And i think it will be easier to keep clean, plus I like the look. It already collects debris in that area due to the chain and lube. Yes, mine was super nasty because you just can't clean under there. Now with the mod it is always spotless, because i can access it. Looks a lot cleaner today, different sprocket & chain, but the cover is the same. Nice. Will be a next weekend job. Another reason for this is i want to mount my Scott Oiler to go to the back of my front sprocket. Tidy and doesnt get messed up when changing wheels. 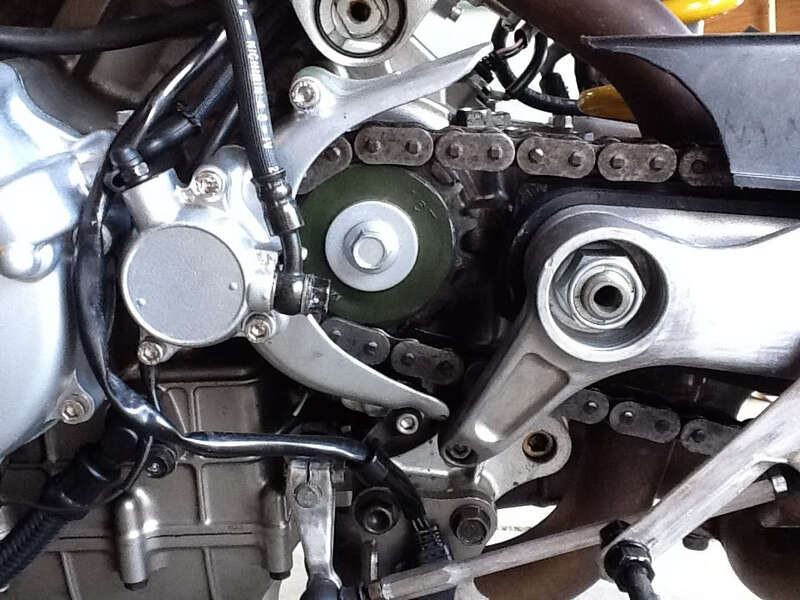 Quick Reply: Front sprocket cover "Nicky Mod"